Since the fall of the Soviet Union in 1991, the post –Soviet region has faced a number of challenges including widespread diasporas, fluid national identities, overlapping ethnic territories, and varying levels of economic development. Instability throughout the region is well documented due to high-profile cases such as the civil war in Ukraine, tension in Georgia, the conflict over Nagarno-Karabakh, and the annexation of Crimea. The circumstances surrounding these cases of violence, either interstate or intra-state, can often be at least partially attributed to ethnic tension and identification issues. Russian minority populations, as one of the largest in many of these states, are a particular point of interest for those hoping to identify and possibly prevent future ethnic clashes and regional instability in the post-Soviet world. This report examines the degree to which ethnic tension is exhibited in the Republic of Kyrgyzstan between the Russian minority population and Kyrgyz majority. Quantitative data and qualitative interviews are used to identify and describe possible tension. The results of this analysis suggest that there is little tension within Kyrgyzstan between the majority Kyrgyz population and the Russian minority. This is likely due to the fact that the Russian minority enjoys a relatively high status, both linguistically and economically. Nevertheless, the growth of the Kyrgyz language, the continuing emergence of a Kyrgyz national identity, and the potential development of linguistic discrimination could damage the otherwise peaceful relationship between these ethnic group. Ethnic tension with Russian minority populations throughout the post-Soviet world has been widely researched. The largest ethnic minority in the region, considering all former republics as one unit, are ethnic Russians. This population, numbering roughly 25 million, is commonly referred to as the Russian diaspora (Poppe, Hagendoorn 57) Russians in the USSR moved and lived throughout all the republics. When the Soviet Union dissolved in 1991, however, these ethnic Russians found themselves minorities living in an independent titular state. How they identify themselves politically, ethnically, and nationally has therefore become an important political and socioeconomic question. Edwin Poppe and Louk Hagendoorn, Political Scientists, found, through extensive surveying, that ethnic Russians in various former republics identified with different attitudes toward the Russian Federation. They found that Russians in Belarus and Ukraine identify more strongly with their host nation than do Russians in Central Asia and Moldova, who are more likely to identify with the Russian Federation (Poppe, Hagendoorn 62). Thus, millions of Russians do not prioritize on the first order their identity ties with their host nation. Even within more integrated states such as Ukraine, 33 percent of ethnic Russians identify strongly with the Russian Federation. (Poppe, Hagendoorn 62). This indicates serious potential tension within the largest ethnic minority in the region. William Fierman, a Political Scientist, explored this topic from a different angle by studying the usage levels and prevalence of the Russian language throughout the former USSR. Fierman found that the level of prestige granted to the Russian language varies significantly. In the South Caucasus, Baltic states, Turkmenistan, and Uzbekistan, the Russian language has no special or legal status; but in Kazakhstan and Kyrgyzstan, Russian is an official language (Fierman 1083). Even within states that grant no legal status to Russian, such as the Baltic and South Caucasus states, the Russian language is highly used, especially within ethnic Russian populations. For example, within those regions, between 26% to 36% of respondents watch Russian television regularly (Fierman 1086). By exploring each nation’s linguistic policies and usage, one can determine the attitudes of former republics toward the Russian language, and perhaps by extension, the Russian minority. In some cases, post-Soviet states have made an effort to preserve the role of the Russian language and by extension accommodate somewhat the Russian ethnic minority. In other cases, governments have challenged the use of the Russian language in an effort to reassert the role of the titular population’s culture and importance. While not intrinsically wrong, this policy can be misconstrued as action against the Russian minority, which could then generate tension between ethnic populations. Scholars such as Thomas Rozanov, a Political Scientist and economist, have studied how ethnic groups base their collective identities on their common languages (Rozanov 2). If there are policies targeting the status of a certain language, the corresponding national group may react to these policy as if they were a direct assault against their culture and population; language is seen as an extension of identity and security within a state (Rozanov 2). A few scholars have researched this topic in Central Asia specifically. Sebastien Peyrouse studied the experiences of ethnic Russians within Central Asia and, specifically, in Kazakhstan. Peyrouse found that throughout Central Asia there were 10 million ethnic Russians, “that is 37% of the entire Russian diaspora,” and 6 million of them live in Kazakhstan (Peyrouse 482). Peyrouse believes that the Russian population in Kazakhstan has become “de-politicized,” but still exhibits a tenuous relationship with the Kazakh population and national government due to political authoritarianism, exclusion of national minorities from public life, and cultural impoverishment (Peyrouse 485). This explanation in Kazakhstan might help explain the large scale emigration of ethnic Russians from Kyrgyzstan due to the two countries’ close geographic proximity, cultures, and political situations. According to the Russian Federal Migration Service soon after 1991 large amounts of ethnic Russians began emigrating from Kyrgyzstan, decreasing the population sizably. This emigration slowed and eventually ceased in the early 2000’s, but its effect on the minority population is still significant. . However, Bakyt Baiatov a Political Scientist, however, also argued that the cause of this migration was the declining status of the Russian language as well as the challenging economic climate, rather than any overt discriminatory practices or domestic grievance (Baiatov 227). Although Russian remains an official language of the country, popular support for the preservation of its legal status is dwindling and support for its removal is rising (Baiatov 255). It is important to note that in the USSR, ethnic Russians often held positions of economic and political influence; but in the current political environment their ethnicity has moved to a minority status and no longer holds the intrinsic economic benefit it once did, especially considering the language barriers to public sector work. Baiatov found that the ethnic Russian population has so far chosen to leave the country as opposed to challenging the regime. Throughout the post-Soviet world, one of the greatest sources of information for understanding the status of minorities has been the Minorities at Risk data set. This data set is the basis for the graphs included below, which examine the status of ethnic Russians in the post-Soviet states and describes the levels for categories such as Political Discrimination, Economic Discrimination, Political Grievance, and Population Concentration (see appendix for code book on MAR ratings). These levels are described on a scale of 0 to 4, with each higher numeric value denoting increases in discrimination, concentration, or grievance. Similarly, a graph is presented detailing the percentage of the population of each post-Soviet state that is ethnically Russian. It is important to note, however, that this data set is already a decade old. While the statistics found there can be helpful in understanding minorities in the post-Soviet world in general, understanding their status and identity affiliations today would require an updated data set to be funded and created. As can be seen above, Kyrgyzstan’s Russian minority does not exhibit many signs of possible ethnic tension, with no political or economic discrimination or political grievances identified. Furthermore, ethnic Russians account for only around eight to ten percent of the population although they are heavily concentrated in the north of Kyrgyzstan. Scholars have noted that high population concentration among minority groups can lead to a higher rate of tension due to increases in hate crimes and intergroup violence, as evidenced by correlations in the U.K. (Dustman 690). The Russian language in Kyrgyzstan enjoys official status and is widely used and taught. While Kyrgyz is the official language of government and only Kyrgyz is spoken in government positions, this has not prevented ethnic Russians who have gained fluency in Kyrgyz from holding influential government positions. 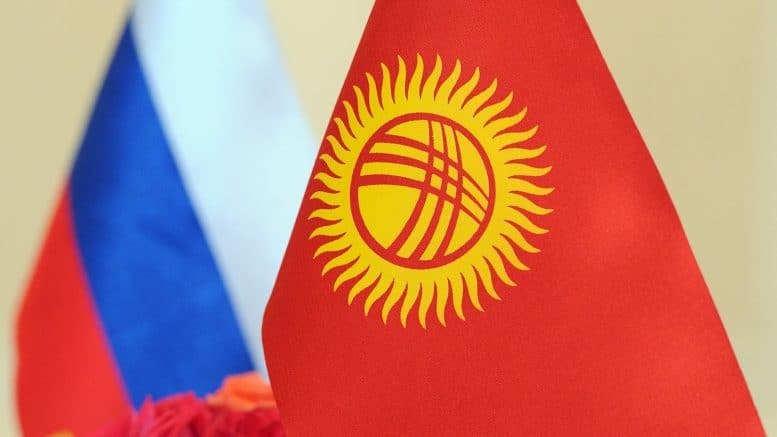 Similarly, Russians do not face economic barriers due to their ethnicity (MAR), and, in fact, Russian is a dominant language within many Kyrgyz business sectors in large part due to Kyrgyzstan’s strong economic ties with Russia. Focusing specifically on Kyrgyzstan can be challenging, as it has received little research in comparison to other, larger states. To augment the available data, I performed field work in Kyrgyzstan to gather (admittedly limited) new primary data. In presenting my findings from qualitative interviews below, I will detail the general background of my interviewees (ages, genders, work experience, and educational backgrounds) without revealing any identifiable information, as per IRB regulations. This background information shows that the field work used an appropriate degree of randomization. 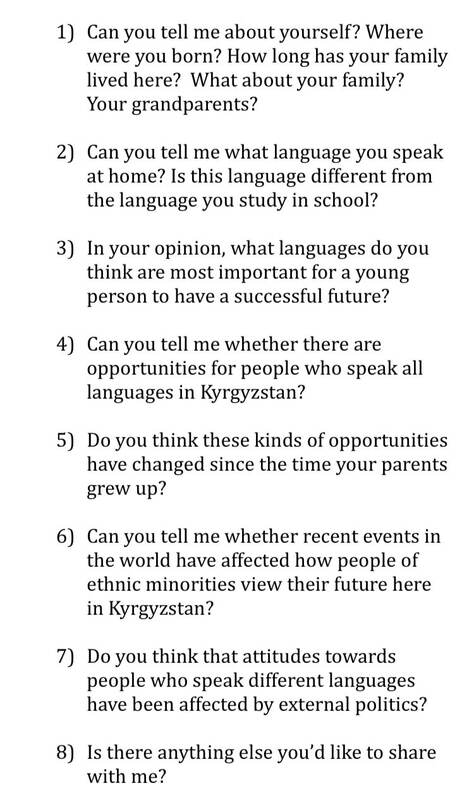 With each interviewee, I used a set of interview questions to frame the conversation and search for particular information: background, linguistic preference, opinion on national language, perception of foreign events, perception of influence of foreign events on ethnic minority populations, opinion of representation in government, and perception of relationship to Kyrgyz ethnic majority. However, since my interviews were not surveys, they often did not follow the questions exactly. How each interview progressed depended on the interviewees. If they were particularly passionate on one topic, particularly knowledgeable, or simply very talkative, I adapted the interview to them. Below, I provide my research questions and then aggregate my interview responses. Each interview was performed in Russian, and the interviewees were located through my contacts in Kyrgyzstan. No interviewee was compensated for his or her participation, and the location varied by individual to better accommodate their schedules. My interview questions and subsequent results allow me to create a general aggregate of responses corresponding to the information I sought to explore. With that being said, due to the nature of my methodology, there are important trends in responses, reactions, and attitudes that cannot be described numerically. My research involved ten participants. These participants included individuals in their 20s, 30s, and 50s, and one interviewee in his 60s. There were four male participants and six female participants. All interviewees had at least a high school education, and all but three had a college education. Teachers, students, bazaar workers, and government workers were represented in this sample. Most were also from Bishkek, although a few emigrated from Kazakhstan or grew up in villages elsewhere in Kyrgyzstan. Of course, additional steps could have been taken to increase randomization, but gender, education, employment, and income brackets were fairly well diversified in my sample of the ethnic Russian minority in Kyrgyzstan. In an aggregated format, my research results are shown in the following table; however, deeper analysis is necessary, especially for the latter questions which are harder to quantify. Every interviewee was at least the third generation of their family in Kyrgyzstan, although some families came in the 19th century while others came in the early 20th. Every interviewee identified strongly as Russian, but as a Russian from Kyrgyzstan. Unsurprisingly, every recipient spoke Russian at home and considered it their primary language. Interestingly, however, every interviewee had studied Kyrgyz for a number of years in school, but only one could speak Kyrgyz fluently. Although some knew more Kyrgyz than others, in general most interviewees had retained only a basic knowledge of the language. The reason for this, in most cases, was the lack of necessity and therefore lack of practice. Every respondent believed Russian is important to be successful, but there was disagreement over other useful languages. The most common second language given was English, followed by German. In contrast, only two interviewees stated that Kyrgyz is useful to know, and one of these people said that it would only be useful if you wanted to work in government, while the other person who stated that Kyrgyz was important actually worked in government. All Kyrgyz governmental positions require fluency in Kyrgyz, so the single Russian fluent in Kyrgyz is required to maintain fluency, thus explaining this outlier. All respondents believed that opportunities for Russians in employment and education had changed, but disagreed over how to categorize this change. The disagreement was largely along generational lines. Younger Russians believed things had improved and become more open, and that generally there were more opportunities. Older Russians—those who were adults during the Soviet Union—believed things had become worse, They referenced the decrease in public goods available to them and the rising dominance of the Kyrgyz language, expressing fears that their language may be put at a disadvantage later. All interviewees, in fact, thought that Kyrgyz language usage was growing and had grown over the last ten years. Most responded that they were concerned that Russian would become less and less prevalent. A few, interestingly, responded that because Kyrgyz borrows so heavily from Russian as it develops, it would be easy for Russians in Kyrgyzstan to adapt to the change if it continued to occur. These individuals, however, were in the minority. A majority saw the rise of the Kyrgyz language as worrying. When I asked about external events affecting the ethnic Russian minority in Kyrgyzstan, I used Crimea and Ukraine as examples. Here the table can be slightly misleading, because while three responded that it had had an effect and seven believed it did not, their responses were actually more complicated. The three who responded that there was an effect were only referencing the fact that the minority population talked about these events often. They did not, however, believe it had changed the position of the minority, inspired radicalism, or had any particular negative or positive effect outside of arousing interest in the events themselves. The majority of respondents who thought it had no effect said the same thing, but did not believe that popular discussion of these events could be classified as impact. A few others simply responded that they knew little about and cared little for politics in general, but that they, their family, and their personal friends were unconcerned. Finally, I asked about their opinion of the Kyrgyz government, whether they felt that there were enough ethnic Russians in government, and whether the concerns of the Russian minority were well represented in the government. Only one interviewee stated that the minority population was poorly represented and that he disliked the government; the vast majority stated the opposite. Most interviewees said there were enough ethnic Russians in government, considering how many Russians actually live in Kyrgyzstan. Most had a fairly positive opinion of the government in general. Some were concerned that the Russian language could be excluded from government, but they also stated that they understood the reason behind this. Often, after this, I would return to any conversation points that I wanted to explore again. It is important to note that the body language of each interviewee was very relaxed at the beginning of the conversation and never changed throughout the interview. No one showed stressed or tense body language during the discussion regarding Ukraine or the general relationship between Kyrgyz individuals and Russians. One participant showed some agitation when discussing the government due to their negative opinion of it, but in general there was no agitation over these topics that might suggest hidden or strong negative opinions. 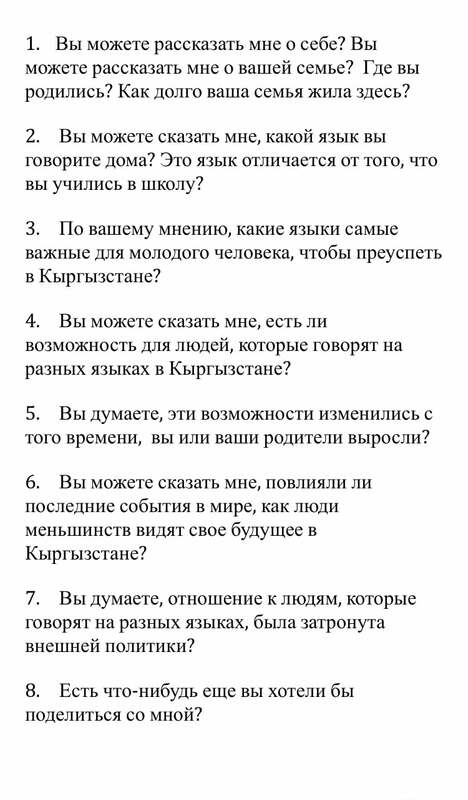 After performing these interviews, I can corroborate the results of previous research that there does not seem to be ethnic tension in Kyrgyzstan regarding the ethnic Russian minority. I believe this is due to the prevalence of the Russian language, which has allowed the minority population to be economically successful and has not created any barriers between the titular and minority ethnic groups. Interestingly, events such as Crimea and Ukraine have had little to no effect. This could be due to a variety of factors, one of which is that unlike in Ukraine, there is little de-Russification in Kyrgyzstan. However, the growth of the Kyrgyz language could potentially create issues in the future. Future research could be improved by a larger sample size, a greater number of questions, and research performed in villages and other cities outside of Bishkek. Considering the low variation in the responses I received, however, it is likely that the results of this research will not be altered drastically by a larger sample size. 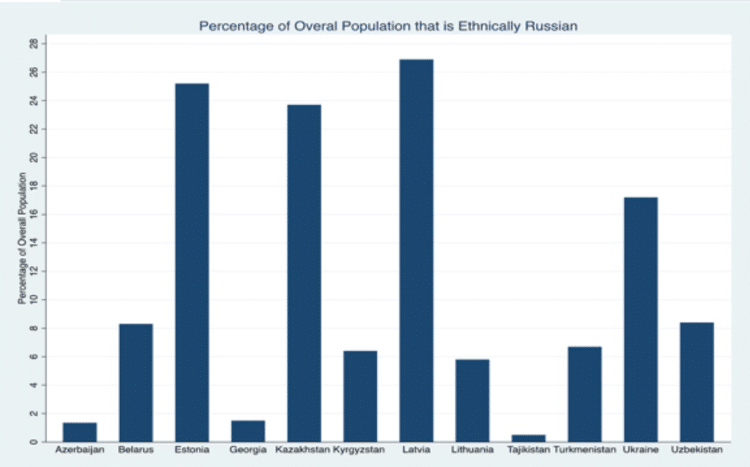 Despite the flaws in this methodological approach, the resulting data strongly shows that there is little to no ethnic tension regarding the Russian ethnic minority in Kyrgyzstan. Bakyt, Baimatov. “The Ethnic Russians – Scattered in Geo-cultural and Semantic Spaces of Kyrgyzstan”. International Journal on Minority and Group Rights. 21(2). June, 2014. Print. Dustman, Christian, Fabrri, Francesca, and Preston, Ian. “Racial Harassment, Ethnic Concentration, and Economic Conditions”. The Scandinavian Journal of Economics. 113(3). 22, August, 2011. Print. Fierman, William. “Russian in Post-Soviet Central Asia: A Comparison with the States of the Baltic and South Caucasus.” Europe-Asia Studies. 64.6 (2012): 1077-1100. Minorities at Risk Project. 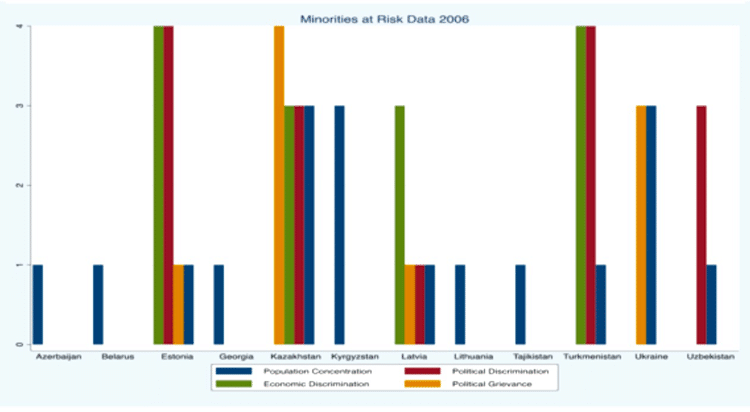 (2009) “Minorities at Risk Dataset.” College Park, MD: Center for International Development and Conflict Management. Web. URL? Peyrouse, Sebastien. “Nationhood and the Minority Question in Central Asia. The Russians in Kazakhstan.” Europe-Asia Studies. 59.3 (2007): 481-501. Poppe, Edwin, and Hagendoorn, Louk. “Types of Identification among Russians in the ‘Near Abroad’.” Europe-Asia Studies. 52.1 (2001): 57-71. Rozanov, Thomas (06/01/2016). “Language and Identity Explored”. Journal of arts and humanities (2167-9045), 5 (6), p. 1. World Bank. (2015). January 27, 2016, from World Development Indicators Online (WDI) database. 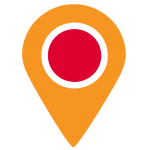 URL? This analysis was written by Cian Stryker, a Political Science and Russian and East European Studies double major at the University of Pittsburgh. He spent the 2016-2017 academic year with SRAS in Kyrgyzstan, studying under the Central Asian Studies program. He plans to pursue an MA in Political Science involving research in the post-Soviet world and to later work for the U.S. State Department in that region.